In the lead-up to the 2014 International CES in Las Vegas, Polaroid has unveiled new Smart and Ultra HD TVs and Android tablets. In Australia, Polaroid imaging products are distributed by Brands Australia, while non-imaging products have been supplied by Atico International. Australia’s first taste of Polaroid TVs came in early 2013, when Atico International began distributing Polaroid TVs, ranging from 18-to-50 inches through the mass market and grocery channels, including Coles Supermarkets. A representative of Atico International’s Australian office said the company was in negotiations with Polaroid in the US and could not confirm whether it would be handling the local distribution of this new range. Polaroid’s premium TV range will include a 50-inch Smart TV to be sold in the US for $599 (AU $683) and a 50-inch Ultra HD TV to be sold in the US for $999 (AU $1,115). 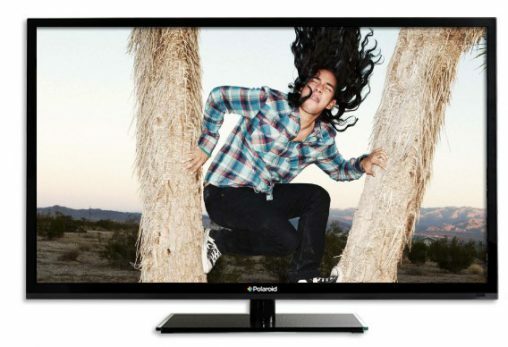 Polaroid will also market a broad range of LED TVs from 32 inches up to 69 inches. Rather than organise the manufacturing of these TVs itself, Polaroid has licensed the brand to Empire Electronics Corporation to oversee the distribution. Since the advent of digital imaging, which severely impaired the Polaroid Corporation, leading to it filing for bankruptcy protection several times during the 2000s, Polaroid has looked to license its brand to other suppliers. Another of these licensees is Southern Telecom, which has manufactured a range Polaroid-branded Android tablets, including 7-, 8- and 10.1-inch models. “Tablets are changing the way consumers use and share their favorite media and memories, and Polaroid’s robust line of tablets is allowing more consumers to share with on-the-go convenience,” said Polaroid president and CEO Scott W Hardy. Featured Image: Polaroid’s new Q10 tablet.